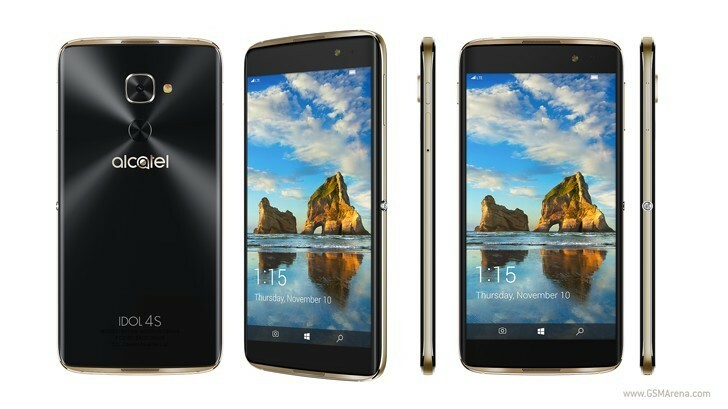 After many rumors and leaks, the Alcatel Idol 4s running Windows 10 Mobile was finally made official a couple of days ago. The smartphone pairs most of the specs of the Android-running Idol 4s with Microsoft’s latest mobile operating system, resulting in an intriguing high-end package for fans of Windows 10 Mobile. It will be out in the US at T-Mobile on November 10, priced at $469 full retail. But what if you’re in Europe? Are you interested in this handset and wish you’d know when it’s expected to hit that particular continent? If so, we have some bad news. It turns out that the Idol 4s with Windows is not intended to be sold in Europe. So it looks like it might stay a T-Mobile exclusive forever. The news comes from Alcatel’s arm in France, responding on Twitter to a question regarding availability in that country. The company says this product is only going to be sold in other regions. That’s certainly a shame, as many fans of Windows phones are located in Europe, and this means they won’t have access to the latest device running Windows 10. Hopefully Alcatel will reconsider, but for now this is the situation.